During last night’s game against the Vancouver Canucks, the Montreal Canadiens’ Max Pacioretty failed to convert on not one, but two penalty shot attempts during the course of the game. You’d think that would make him the goat, but not quite. You see, Pacioretty may not have been able to score when given a breakaway all alone on the goaltender, but he didn’t seem to have much of a problem putting the puck in the net when having to deal with opposing defenders, as he still managed to record a hat-trick, despite the two missed penalty shots. And those three goals by the American Olympian would prove to be the difference, as the Canadiens came away with the 5-2 victory. 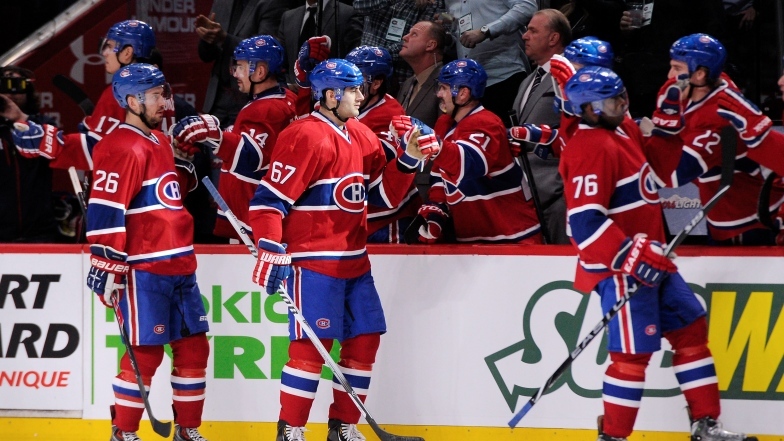 The hat-trick was Pacioretty’s second of the season. He now has 26 goals on the year and he earns “The Stat Line of the Night” for Thursday, February 6, 2014.